Guitarist-keyboard player, arranger, and composer Luca Proietti has appeared on more than a dozen albums with Stefano Torossi, including on three tracks for the 1993 Fonit Cetra Commenti Musicali compilation Young Music – Young Ideas and two tracks on the 2014 ExtraBall Records’ compilation Oriental Groove: World Music from the Middle East. This total includes at least six full length albums produced by Torossi, the most recent the 2011 Deneb Records/Flippermusic release Vocal Emotions, which also features vocalist-composer Valeria Nicoletta. 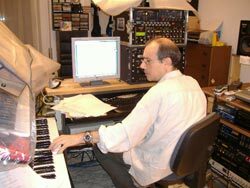 Besides making original music for albums and TV, Proietti is an experienced sound engineer who currently teaches music technology and sound engineering. 6D: How did you first meet Stefano Torossi? 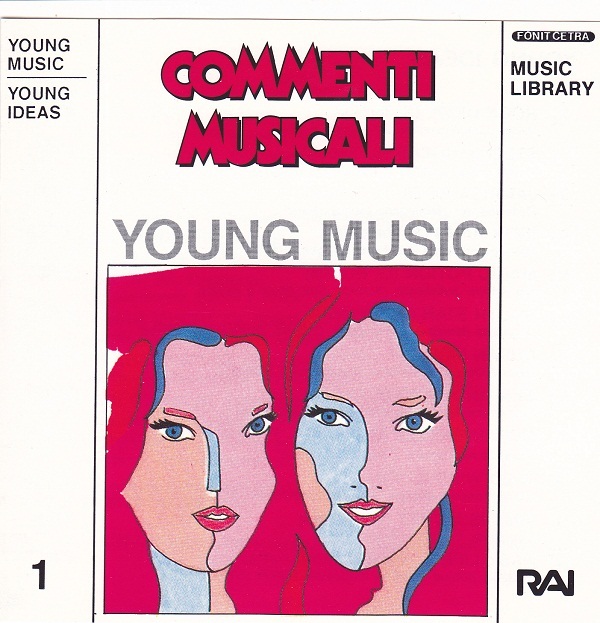 6D: Was the Fonit Cetra Commenti musicali: Young Music – Young Ideas compilation album produced by Stefano Torossi in 1993 your first collaboration? LP: The first time Stefano and I worked together was the year before, on three tracks for the album Sound Ideas. The tracks were “Abstraction,” “Functional Pattern,” and “Contemporary Melody.” The songs on both albums were realized with real guitar, in addition to electronic keyboards and computers. 6D: Did you record “For Love And Passion” and “Wildlife” from the Musica per commenti sonori: Dreams (1994) CD compilation produced by Stefano Torossi on Costanza Records at the same time? Is “Wildlife” an example of a composition that you composed and play entirely using electronic keyboards and computers? LP: “Wildlife” is not entirely done with electronic keyboards; a few of the sounds are real guitars, but these guitar sounds are usually mixed with sampled guitars. The most peculiar thing about the song is that all the lead synth sounds are played with a MIDI guitar and this makes the result different than playing the same sounds via a keyboard. The same approach is used on “For Love and Passion.” Yes, both songs were recorded in the same period. 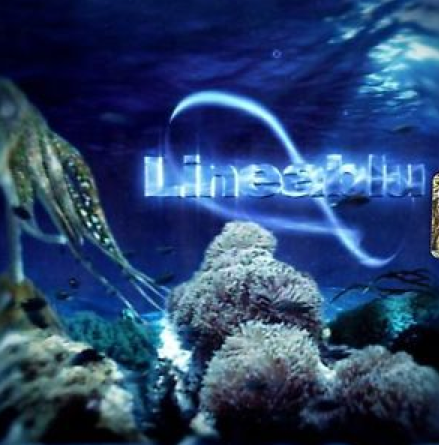 6D: In 2008, Rai Trade released Lineablu, a two-CD compilation and download that includes “Zummara,” “Mediante,” and “Petra.” When were these compositions done originally? LP: These three songs were originally done for the RAI Trade release WM Global Music, my third full length album for RAI Trade made with Stefano. The album was released in 2004. Since the songs were often used in the show “Lineablu,” Rai Trade decided to put them in the compilation. 6D: Was your World Windows (2007) CD the first time Stefano produced a full length album of yours? LP: Actually, World Windows was the fifth full length album of mine that Stefano produced! Previous full length albums were: World Vibrations (1996) on RCA and Geoglot (1999), Urban World (2003), and WM Global Music (2004) for Rai Trade. “Zafra” and “Amina,” a pair of tracks from Luca Proietti’s WM Global Music, produced by Stefano Torossi, is on MySpace.com. Click HERE. 6D: How did the project come about? LP: The World Windows project is the result of a collaboration with the incredibly talented vocalist Valeria Nicoletta. We both had made albums with Rai Trade before and Stefano proposed to do something together. 6D: Is there any chance World Windows will be reissued? I ask because it is literally impossible to find. I don’t know if it will be reissued, I know that Rai Trade has not made his complete production available online, I hope they’ll go this route soon. 6D: What do you recall about recording Vocal Emotions for Deneb Records in 2011? LP: Valeria is an incredible singer, able to express herself with a really wide range of vocal colors. Stefano had the idea of a project that could travel around the world with the music and the vocals, so the versatility of Valeria has been vital to this project. 6D: In addition to “Exotic Sahara” being used in the 2012 Christian Slater movie Assassin’s Bullet, it has been selected for several compilations including ExtraBall Records’ Ethnic Nights: Sensual World Music Atmospheres (2013), Trip To Damascus: Arabian World Music (2013), and, most recently, Oriental Groove: World Music from the Middle East (2014). What do you recall about making this popular tune? LP: I’ve always been fascinated by Middle Eastern music, so this song was born as an homage to the musical atmospheres of this amazing region. Of course there are Western musical elements in the song, too. I’ve always loved to mix different cultures. The talent of Valeria as singer and composer really emerge in this song. 6D: “East Spice” also appeared on the latter pair of compilations from ExtraBall Records. Were did the idea for this composition come from? 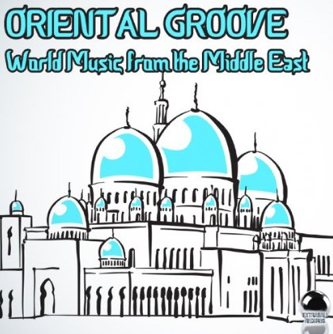 LP: This was inspired by Middle Eastern music, as well as the traditional music of Greece. 6D: Another two tracks from Vocal Emotions, “Monsoon” and “Vogue,” appeared on the Ethno Lounge: World Music Ambiences (2013) compilation. Any memories about either composition? LP: The idea with “Vogue” was to explore more contemporary Western forms of music, while “Monsoon” is our tribute to modern Bhangra music. 6D: Have you worked with Stefano since the Vocal Emotions project? Is there anything planned? LP: I made two other songs with Stefano: “Cime di ghiaccio” and “Canzone celtica.” Both are on the Rai Trade CD Torossi & Friends. We talked about doing other things together but nothing has started yet. 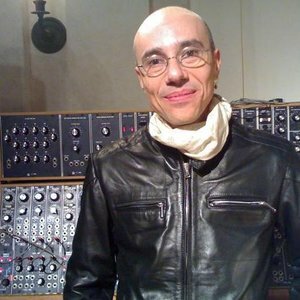 In 2002, Luca Proietti collaborated on Foretold in the Language of Dreams, an album by Natacha Atlas and Marc Eagleton in which he played keyboards and collaborated on arrangements, computer editing, and mixing. 6D: I was very impressed by both the song and the images in this video. What can you share about your participation in this exceptional world music album? LP: It’s been a wonderful experience. This song was actually the one with which my work on the album started. Most of the instruments had already been recorded, there were a lot of improvised parts executed by several musicians on this song, parts that were supposed to be structured later. The first thing Marc Eagleton (the album producer and co-author with Natacha Atlas) asked me to do was to “structure” this piece, i.e. create the form of the song. So I started to choose when each instrument had to play, added a few string chords and keyboard part and the song took its form. This is possibly my favorite song on this album, even if is a though choice, because I love them all! In 2003, Luca Proietti performed at Jazz Baltica 2003 in Salzau, Germany with vocalist-guitarist Gabin Dabiré, vocalist-guitarist Lokua Kanza, guitarist Dominic Miller, bassist Pino Palladino, drummer Omar Hakim, percussionists Paul Dabiré and Pibo Marquez, and guitarist Pat Metheny. A video of this performance is sometimes posted online. 6D: As a fan of scratching since first hearing Boogie Down Productions in 1987, I must ask about the making of “Vivere.” Is this from an album? LP: “Vivere” is part of a full length album by Cristina Barzi, aka Gypsyliana, that Cristina and me arranged together. The name of the album is Gypsyliana Sonus Nomas. The album was released at the end of 2005. 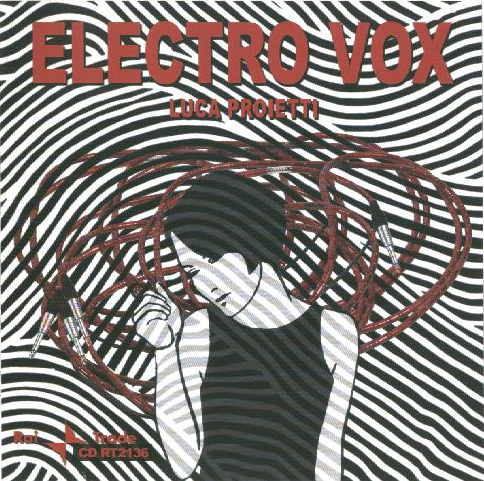 In 2009, Luca Proietti released Electro Vox: Electronic Music And Vocal Melodies on Italy’s Rai Trade label. The album features the music of Proietti and the vocals of Valeria Nicoletta. In 2013, Luca Proietti played acoustic guitar, electric guitar, and backing vocals on “Questa valle che resiste,” acoustic guitar on “Cuore-Guaina” and “Ninna a Gaza,” and acoustic and electric guitar on “Questo mio amore” on Giulia Tripoti’s Arrovesciata (2013) CD. 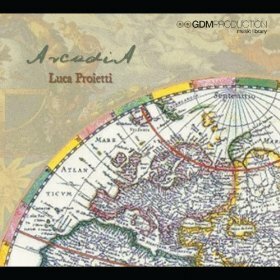 Proietti also released Arcadia, his own full-length album. 6D: How did the Arcadia project evolve? Was it your idea? LP: The project was conceived together with Isaac Cugini of GDM Music (the publisher). The idea was to mix together the influence of various parts of the world. The project is meant to be used as an underscore for television shows talking about travel, nature etc. 6D: Who is the lead female vocalist? LP: There’s no actual singer in Arcadia as I worked with a sample library called realivox made by the company realitone (realitone.com). I’ve been lucky enough to have worked with a lot of talented singers, but this time I wanted to experiment and see if I could transmit the emotions of the music just by using samples. The Realitone library is not made of prerecorded “phrases,” rather it allows the user to create whatever melody you want, so I could make the samples “virtually” sing my melodies. 6D: What projects are coming up that you could share some details about? LP: I’ve just completed four more songs for GDM Music, the same publisher of the Arcadia album. The project is not released yet, so, for now, there are no audio clips available. 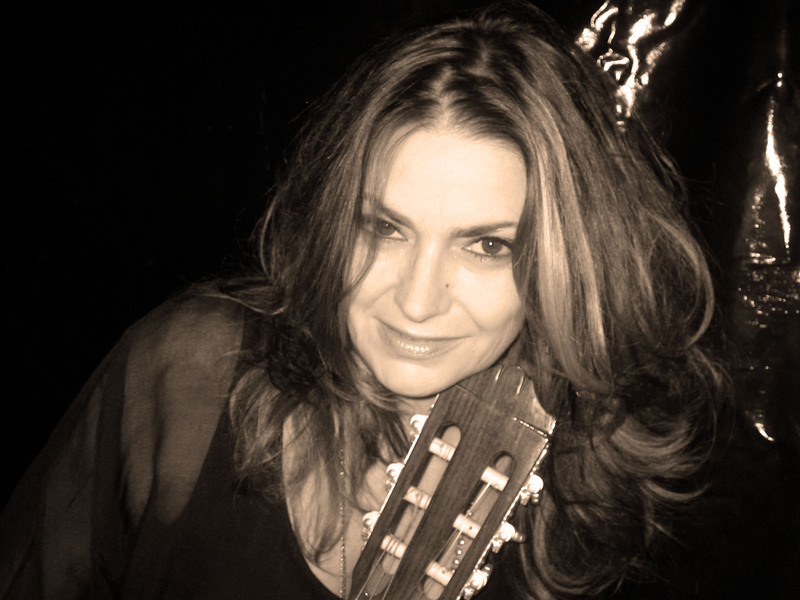 More music and videos from Valeria Nicoletta can be found at her personal website HERE. Ten tracks including “Propiziu ventu,” “Voice Of Sarah e Dreamworld,” “Natai e Davul,” and “Burrascate e l’anima” are available at MySpace. Posted on 21 June 2014, in Interview and tagged Commenti Musicali - Young Music - Young Ideas 1993 compilation, Costanza Records, Fonit Cetra, GDM Music, Luca Proietti, Luca Proietti - Arcadia 2013 album, Luca Proietti - Electro Vox 2013 album, Musica per commenti sonori - Dreams 1994 compilation, Stefano Torossi, Valeria Nicoletta, Vocal Emotions 2011 album. Bookmark the permalink. Leave a comment.